Here’s an iPhone 7 and iPhone 7 Plus stock checker to help you find your favorite model at an Apple Store near you. Apple’s iPhone 7 and iPhone 7 Plus launched to much excitement late last week, and although it hasn’t yet been available for a full seven days, we’re already seeing the same issue of consumer demand outweighing initial worldwide inventory levels. In fact, such is the demand for the larger iPhone 7 Plus (especially in Jet Black) that Apple actually had to release a statement informing that global inventories of the 5.5-inch iPhone 7 Plus had been depleted almost instantly. Now, if you’re looking to get your hands on an iPhone 7, but don’t want to waste your time turning up to an Apple Store only to be disappointed, you can check worldwide stock levels using the iStockNow web service. This service is built on top of Google Maps technology that can instantly show potential iPhone 7 owners stock levels in local Apple Stores. 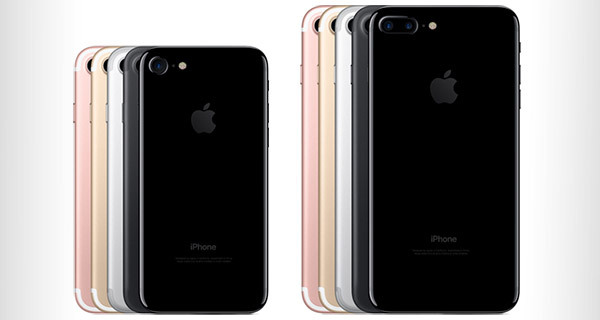 The service supports the display of iPhone 7 and iPhone 7 availability in the United States, United Kingdom, Australia, Belgium, Canada, France, Hong Kong, Germany, Italy, Japan, Span, Sweden, Holland, and Switzerland, with the best guess suggesting that the information pertaining to device availability is being pulled directly from Apple’s own reservation system. Users of the service are able to put in their city, location or zip code to get a broad overview of Apple Stores within the vicinity of that location. 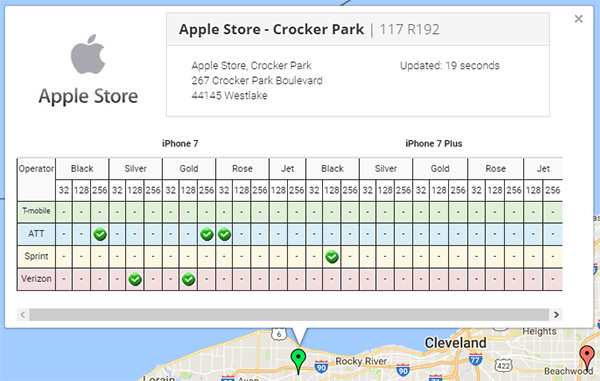 A red placeholder indicates that the Store in question has no stock whatsoever, whereas a green placeholder informs the user that the Apple Store chosen has at least some availability of either the iPhone 7 or iPhone 7 Plus. Of course, as it currently stands, even the Apple Stores that are shown to have stock can’t fulfill the needs of those desperate consumers looking for a 5.5-inch iPhone 7 Plus with the dual-lens camera system. For those that want to go a little deeper, the service also offers the ability to filter down search results by device model, the operators that the smartphone would be tied to, and even the color and storage capacity. So if you know you’re looking for a 128GB iPhone 7, finished in Rose Gold on Verizon, then there’s a good chance that if you live in the East Coast of the United States, you’ll be able to satisfy your needs. Head on over to istocknow.com and search for your own requirements. Where’s the link to the site?